There are plenty of hospital bag checklists for dads. But before the birth of my first son, I ignored them all. My first son showed up rather suddenly five weeks ahead of schedule. MamaRush had been nagging me to help her start preparing, but I remember thinking to myself, literally the day before she went into labor, “Ahhh, I’ve got plenty of time for that.” How wrong I was. Shortly after midnight, in late November 2013, MamaRush woke me up abruptly. Her water had broken. My heart pounding, I jumped out of bed like a warrior in survival mode and began running frantically around the house collecting everything from food, water, the infant car seat (still boxed) and clothing to my scattered thoughts. (Meanwile MamaRush was calmly doing the dishes. I’ll never understand that one. She didn’t want to leave the house in a mess or some such crazy talk). Bottom line: In that moment of panic, I was absolutely clueless as to what I needed to bring. There wasn’t time to refer to a hospital checklist. Sure, we survived, but survival is sub-standard. You should strive to face labor instead with style and class. So please, I urge you, do as I am doing this time around… prepare well in advance. Baby #2 is technically not due for another two weeks, but we are prepared for an any-day-now scenario, and we’ve been prepared since about 30 weeks with two items, a partially packed hospital bag and a well thought out “Go Time” list. The “Go Time” list is for items that simply can’t be packed away so far in advance. Use this time to think through all the necessities and what makes sense for your personality and habits. The average labor and delivery time is usually within 18 hours, unless you’re this mom who endured a 75 day delivery (Note: this list does NOT cover you in that situation), so you’ll want to be prepared for the longest-case-scenario, within reason. I know there’s at least one guy reading this who’s saying “it’s too late man,” or “saying, nah, I am a last-minute guy.” Well, I’m sure you did or will make the best of it. We’re dudes, we figure it out. For the rest of you that don’t want to chance it, here’s my ultimate list for what to bring to the hospital on d-day … both pack ahead items and a “Go Time” list. 1. Mama – I hope you don’t forget this particularly important item, but just in case you get in-the-zone and are in a packing rush, you better write this one down on a special “Go Time” list. a small ice chest packed with water, fresh fruit like bananas, blackberries and whatever mama likes. 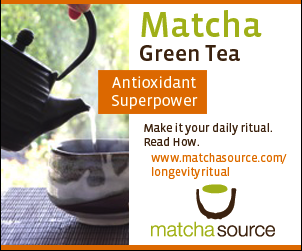 matcha green tea – this stuff is like magic. Zen buddhists historically used it to assist with meditation because its caffeine content is counteracted by L-Theanine, which has a calming affect. It’s also packed with antioxidants. Drink it up. In gords. This really is a best kept secret for how to stay calm, yet alert during one of the most important events of your life. chocolate. Trust me, you or mama (probably both) are going to want some chocolate. 4. Cell phone & charger – Not likely you’ll forget this, but go ahead and put it on the list so you can sleep at night knowing you’ve written down everything you could think of, even the really obvious ones. When it’s go time you don’t want to have to think. My list is on my phone so this item is impossible to eff up. Check and check. 5. Your own pillows, towels, blankets etc. – Let’s face it, some hospitals are lacking in the comfort department. Bringing your own amenities like a pillow, a clean towel and a blanket can make all the difference. Do this for yourself, but mostly do it for mama. It goes without saying that she needs this more than you. 6. Toiletries – Be sure to pack the essentials. Deodorant, a toothpaste, toothbrush, a razor, shaving cream, and anything else you keep in that toiletry bag that you’d take on an extended weekend trip. Load up man, you don’t know when you’re going to see the home front again and you don’t want to have to tell mama that you need to leave to go to the pharmacy to get some “necessity” items when all she cares about is pushing out that baby and she is, probably not intentionally, definitely looking for any excuse to bite your head off for making the wrong move here. Trust me, I know this from experience. Will save that story for another time though. 7. A fresh change of clothes – After sitting in that delivery room for hours upon hours, your man musk can build up to unprecedented levels. This is not only unpleasant to the hospital staff, but it can get downright uncomfortable for you as well. There’s always a shower in the rooms so you (and eventually mama) can freshen up once the baby arrives and having a clean change of clothes just makes sense. 8. A nice shirt for pictures – Aside from having a pair of fresh undies and a t-shirt, you may want to also consider bringing a shirt that you’re more comfortable having your picture taken in. 9. Hair product – Yea, some dude just rolled his eyes, but I bet it’s probably because he doesn’t want to admit that in an age where Mad Men has affected all of our hairstyles, you need hair product and you need it bad. I’ve called this item out separately because you probably only have one set of hair products floating around. As such they are not packed away in the toiletry bag mentioned above. This might be a go-time item to remember. The last thing you want is for the first picture of you and your baby to include extreme bed head when you normally sport a perfectly groomed pomp. Remember, style counts. 10. Medication – If you take any. This should probably go higher on the list, but I don’t really require meds so it’s not on my list. Maybe some ibuprofen and tylenol. 11. Bluetooth speaker – If you’re a music guy like me, this one is a great addition to the bag. Music can really help soften the mood and soothe mama and papa. I don’t have to explain how music is like medicine do I? 12. A warm jacket – Hospitals are intentionally climate-controlled to cold temperatures to reduce the spread of germs. A jacket or light sweater, think layers, is a necessity so you remain cozy and comfortable in a land where both things are scarce.